Bob arrived on Island in the late 1970s … just for a visit but he found the home he had been looking for. He played with many local bands through the years – Percy Williams Band, Bad Habits, Harold and the Midnights, Ron Souza and the Doc, The Blue Meanies, and The No-see-ums but it was his Crabapple Creek Electric Jug Band that fulfilled his dream of playing and recording his original music. The Jug Band was loved both for their music and their generosity of spirit … their philosophy was playing and sharing their music for the love of it … often all that was asked was that their expenses could be covered. Bob’s creativity went in many directions .. in 1993 he wrote his first play “The Lost Gypsy”, which was an ensemble of over 3 dozen community members … it played to 5 consecutive sold out performances. In 2010 all the video and audio tapes were crafted into a DVD and became a feature at the Haida Gwaii Film Festival, it was also presented again in the Community Hall 17 years to the day after the original opening. The DVD is available. 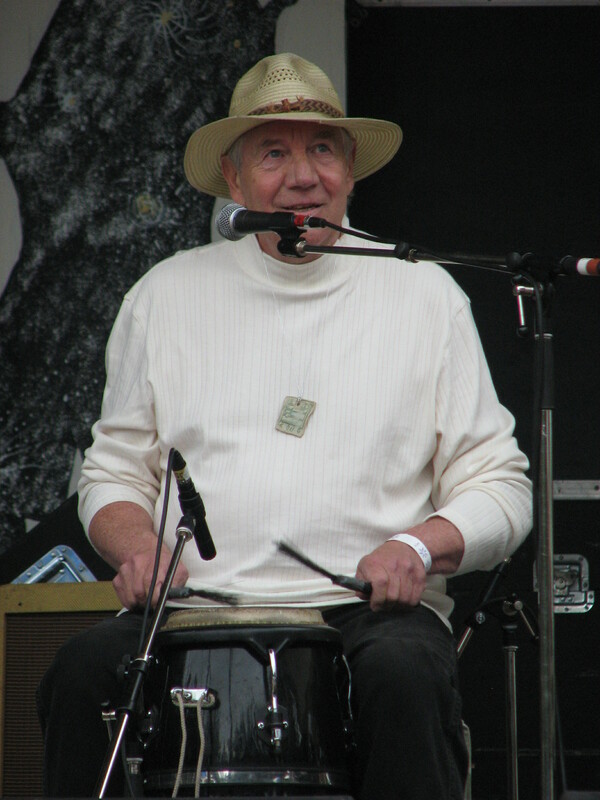 Bob’s contribution to the local Edge of the World Music Festival was extensive both as a volunteer and organizer of the Tapping Our Roots in 2005 which celebrated 30 years of music festivals on the Islands. Sorely missed, Bob Bollechuk has left a wonderful legacy of music but most importantly a belief of sharing ones talents. How lucky we are to still have his music available in CDs. Click on High on Hippy Hill at the beginning of this page to hear one of Bob’s songs about this place.